Checking that a respirator, with a tight fitting facepiece, provides an adequate seal to the wearer’s face has long been considered best practice as part of a general respiratory protection program. Respirators with tight fitting facepieces include disposable respirators, half masks and full-face masks, including those that form part of a powered or air-fed respirator. This tech update contains information on some methods of fit testing and some solutions from 3M to support a fit testing regime. 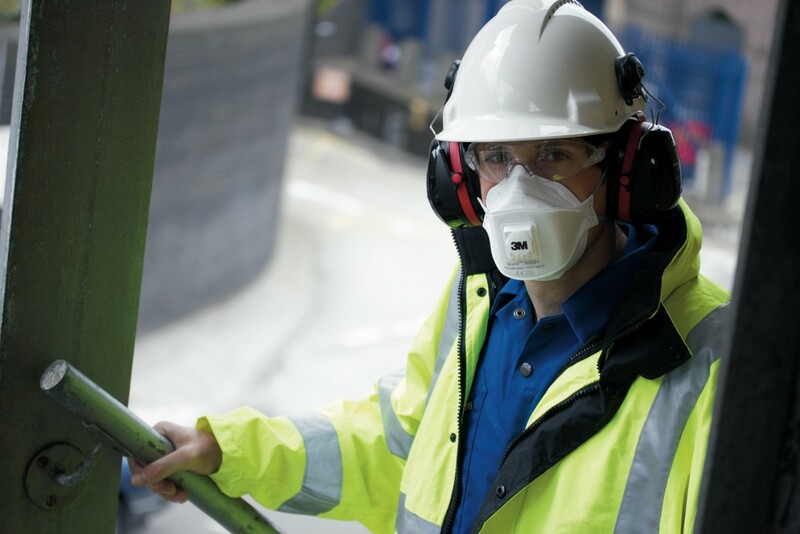 Fit testing should be carried out before the respirator is issued and where testing has previously not been performed. It should be repeated at least annually, and if the wearer significantly gains or loses weight, has major dental work, sustains a major facial injury, or when a different size or model of PPE is specified. There are two (2) main methods of fit testing available: qualitative and quantitative fit testing. During both methods of testing, it is essential that the subject is free from facial hair and other items that may interfere with the face seal. Wearers with facial hair or stubble (even a few days’ growth) must not wear a respirator which has a tight fitting facepiece. All tests require a series of exercises to be performed under the fit test protocol. Manufacturers’ instructions for the test equipment should be followed at all times. A record of the result of the test should be generated and retained for at least five (5) years. Some schools of thought consider these records to be identifiable to an individual and related to health controls; in which case records may need to be kept for 40 years. Check with your local regulatory authorities to determine their requirements. This method introduces a controlled aerosol concentration into a hood fitted over the wearer. This test is suitable for all respirators fitted with particulate or combination gas/vapour and particulate filters. Taste test method is inexpensive, simple and requires no equipment calibration nor facepiece modification. However, test results are subjective and rely on wearers’ response, and cannot be used to test full-face masks for high protection levels. This method is usually conducted in a laboratory due to the nature of the equipment involved. The test follows the methods used for the total inward leakage test described in Australian/New Zealand Standard AS/NZS 1716 for respirators. The wearer is fitted with a probed respirator and exercises on a treadmill within a test chamber into which a test agent of sodium chloride aerosol, oil mist or sulphur hexafluoride gas is introduced. Through a comparative measurement of the level within the facepiece to that in the test chamber the face seal leakage can be derived. The sodium chloride or oil mist test methods measure total inward leakage and are suitable for disposable respirators, half masks and full-face masks. When the respirator is fitted with P3 filters, this is equivalent to measuring face seal leakage and the fit factor can be calculated. The sulphur hexafluoride test method can only be used with air fed respirators. These devices usually depend on naturally occurring particles circulating within ambient air. The test involves connecting a probed facepiece, via plastic tubing, to the counting device. Particles of a certain size identified within the facepiece are counted. This number is compared with the number of particles counted outside the respirator in the ambient air. In certain cases, it may be necessary to increase the ambient air particle concentration by means of a particle generator. The result of this test is expressed as the ratio between the particle counts inside and outside of the respirator and called a fit factor. These fit factors can often be high and should not be confused or used as the basis to select a respirator. The required minimum protection factors for a device must always be used as guidance to select a respirator. These are listed in Tables 4.1, 4.2, 4.34.5 of AS/NZS 1715:2009. These devices produce an objective numerical result that cannot be influenced by the wearer, although there are added factors like its cost and requirements of test operator training, facepiece modification and additional adaptor to test disposable P1 or P2 respirators. 3M offer two qualitative fit test kits FT-10 (sweet) and FT- 30 (bitter); FT-10 uses a test solution of sodium saccharin that produces a sweet tasting aerosol and FT-30 uses denatonium benzoate (Bitrex) to produce a very bitter taste. Each kit contains a hood and collar assembly, two nebulisers, sensitivity solution, test solution and detailed user instructions. The choice between the bitter and sweet test kit is a personal one, however a small percentage of the population are unable to detect the taste of saccharin or bitrex in which case the other solution test must be used. The test procedure involves the hood being fitted to the RPE user without their respirator fitted. Using one nebuliser, an aerosol of the sensitivity solution is introduced into the hood to establish the wearer’s ability to detect the solution. The sensitivity solution is a very dilute version of the fit test solution. After a few minutes break, to allow the taste of the sensitivity solution to clear, the wearer dons their respirator and the hood is re-fitted. The fit test solution is now sprayed into the hood at a rate established by the sensitivity test. This level is maintained throughout the test by introducing more solution in at stated intervals. The wearer then performs a series of exercises involving breathing, head movements and talking. If the entire test is completed without the wearer tasting the aerosol it is deemed a pass. If the taste of the aerosol is detected at any point during the test, the test is terminated. After allowing at least 15 minutes for the taste of the aerosol to clear, the test may be repeated. If repeated failures are experienced the mask is not a suitable fit and an alternative size or model of respirator should be tried. 3M maintenance free respirators and 4000 series respirators can be quantitatively fit tested with a portable counting device. This type of equipment requires specific adaptors which pierce the respirator filter material or the mask body to allow a probe to be fitted. Once fitted with a probe, test facepieces may not be worn in the workplace. If the 3M range of half or full-face masks require quantitative fit testing, then the 3M 601 quantitative fit test adaptor should be used. The 601 adaptor allows 3M half face masks and full-face masks with bayonet filter attachments to be adapted for testing with a quantitative fit test device. 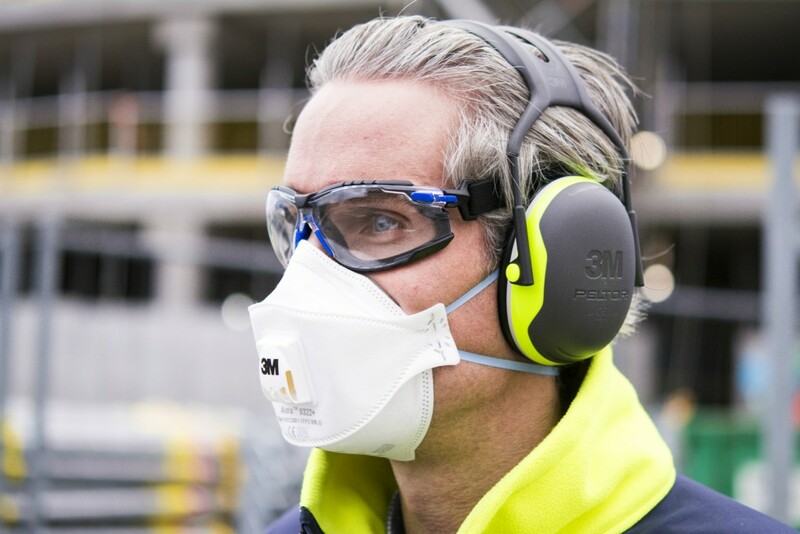 Click here to access the 3M Centre of Excellence for Respiratory Protection.